The law firm of Morton & Gettys is pleased to announce its move into the Fountain Park Place office building in Old Town East on the corner of Elizabeth Lane and East Main Street. 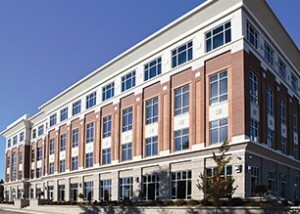 The firm’s new address is 331 East Main Street, Suite 300. “We believe in the revitalization of Old Town Rock Hill and are excited to be part of our city’s future with this move,” said Jim Morton, one of the firm’s founding partners. The location brings the firm’s Rock Hill and York offices together under one technologically advanced roof for streamlined communications, enhanced efficiency and collaboration. The new office has double the square footage of the firm’s former office, with ample parking space for visitors and clients in the attached parking garage. The firm’s York office will remain open for scheduled appointments.